Kites have always been with us but with the invention of the airplane we were left to interest until we started flying rocket and came to think of them to land. Since then they have continued to develop designs, shapes, and forms management to support you and propel with a kite. 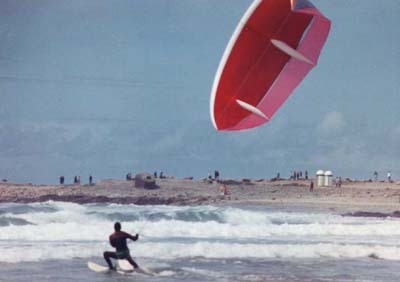 You could say that since 1997 we have inflatable kites although many people at first suspicious, gradually kites gained a place among sailors and surfers. In 2003 the first course of monitor kite in the Canary Islands outfit, since our school is privileged to be within the official formation of the Spanish Sailing Federation. 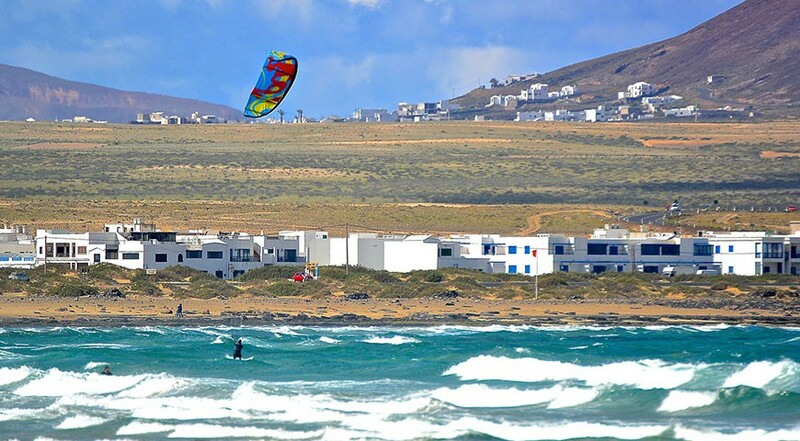 Our Lanzarote Kitesurf school is open from as early as March to mid to late September the trade winds “Los Alisios” start to blow from the North East and the winter groundswells die off providing a variety of kiteboarding conditions ideal for beginners and kiteboarders looking to progress. For the rest of the year the island still has good wind statistics and there are plenty of waveriding conditions for more advanced riders. Playa Famara on the north west coast of the island is the best all round spot and is suitable for all levels including advanced wave riders. The 6km sandy beach overshadowed by the “Los Riscos” cliffs the north end of the bay provides typically cross-onshore conditions, with a mellow shore break and flatter waters on the inside section. Out back more advanced riders will find a wide range of challenging wave riding conditions. Our kitesurf school is part of the Canary Sailing Federation in Lanzarote and our coaching program has been developed according to the progression program of RFEV (Spanish Sailing Real Federation) standards and guidelines. 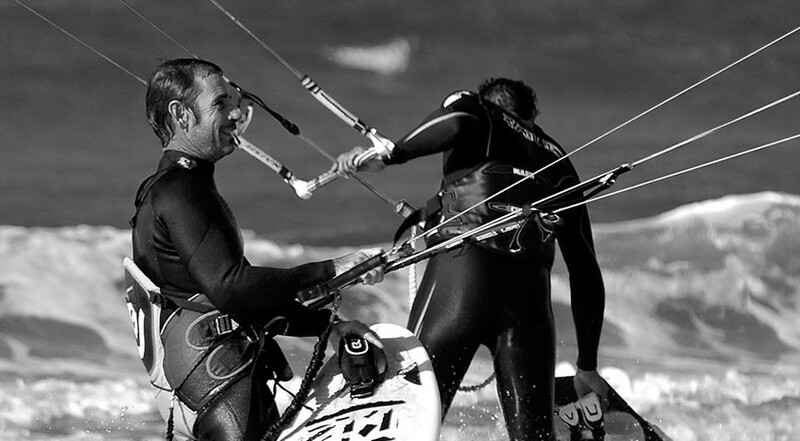 Our aim is for our students to become safe, responsible and self-sufficient kite surfers. Our lessons provide a proven step-by-step approach to learning kiteboarding in a timely and safe manner. 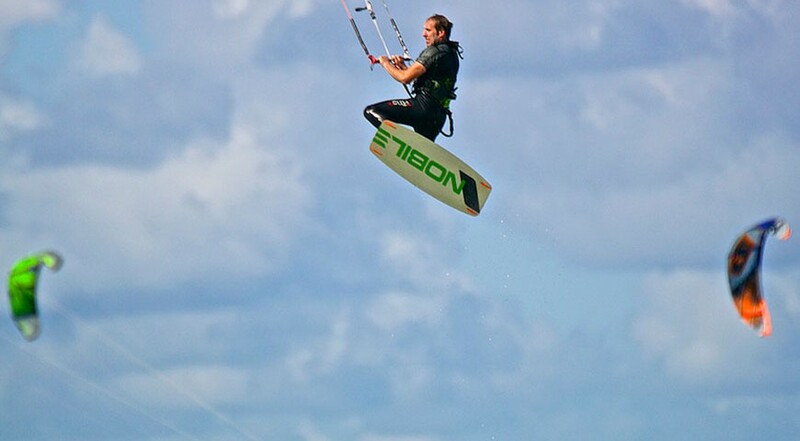 All instructors are qualified via the RFEV system and we offer all levels of kitesurfers. Our beginner kitesurf courses are specifically aimed at those who have never kitesurfed before or those who have already taken some some lessons but feel they need to start over. Our improver kitesurf clinics are specifically aimed at those who have covered body dragging and want to perfect the water start and get up and riding the board downwind in a controlled manner. Our advanced kitesurf clinicsare aimed at those who are kitesurfing fairly regularly and but feel they need to improve further and perhaps need to concentrate and master a specific kitesurfing technique such as changing direction, smoothing out transitions, riding upwind or even controlled jumps. Kitesurfing is progressive and with the right coaching and encouragment from the team you are almost certain to achieve your kitesurfing goals in a safe but fun environment. Lessons are run everyday of the week and are scheduled based on the local tide, wind and weather conditions. Each lesson lasts for approx. 3 hours, groups are divided by ability and have low instructor to pupil ratios, typically 1/4 or less. Our Lanzarote Kitesurf School is a OZONE Kite Official center has a wide range of kites and boards to suit most kiteboarders needs. And as it’s a Pro center the kit is replaced on an annual basis ensuring you get the latest kit at your disposal. All the Kiteboarding Equipment used by the centre is specifically designed for beginners and intermediates with safety being the key factor. Other kit is available for more experienced kiteboarders who are already comfortable riding a higher performance boards/kites. The instructors will select equipment suitable for your age, size, weight and ability. All the equipment is checked and maintained on a regular basis to ensure you have the best material at your disposal. The school also provides a wide range of good quality wetsuits and rash vests from leading brands.